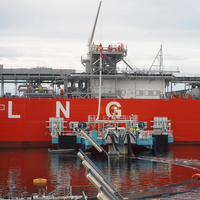 Trelleborg’s marine systems operation and Australasian engineering consultancy Synertec have formed a strategic partnership to meet demand for more accurate and efficient liquefied natural gas (LNG) custody transfer. Under the new agreement, Trelleborg will distribute Synertec’s LNG custody transfer system across its global sales network.LNG custody transfer, the transfer of the ownership of LNG from one organization to other, has long involved fiscal risk given significant uncertainties in traditional tank measurement. SafePilot from Trelleborg’s marine systems operation helped to pilot Allseas’ 200 meter-long barge, Iron Lady, from the Tees Bay to Able UK’s Seaton Port in Hartlepool which transported Shell’s 24,200 ton Brent Delta topside to Able’s facility on May 2, 2017.The Shell-operated Brent field, is located 115 miles east of the Shetland Islands, in 140 meters water depth, and has been in production since 1976. 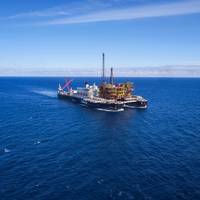 As part of Shell’s complex Brent Decommissioning Project, the Brent Delta topside, was lifted from the concrete legs of the Gravity Base Structure using innovative single lift technology. Trelleborg’s marine systems operation has launched a new whitepaper and on-demand webinar outlining design and compliance requirements in docking and mooring equipment, and a new best practice approach to specification.The whitepaper, entitled The Quest for Quality, examines the relationship between cost and quality, explaining why low cost equipment could prove costly for port owners and operators in the long term.Hani William, Sales and Marketing Manager at Trelleborg’s marine systems operation, said, “The mooring operation is high risk. 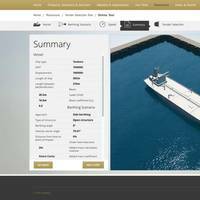 Trelleborg’s marine systems operation has launched a new online Fender Selection Tool, almost completely digitizing the fender selection process and saving consultants the huge amounts of time normally spent carrying out complex manual calculations. The tool is also intended to help specifiers and suppliers alike take steps towards a more standardized engineering process, reducing subjectivity in the design process and helping to shape consistent industry best practice. 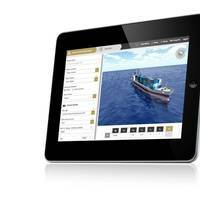 The tool requires the user to input simple information on vessel type, berthing factors and speed. Trelleborg’s marine systems operation has supplied the Association of Maryland Pilots with SafePilot Portable Pilot Units (PPUs) and a Port System server solution to facilitate consistent, real-time information sharing between almost 70 pilots. The SafePilot system is part of Trelleborg’s Smarter Product Portfolio, which its marine systems operation is evolving to support the ‘Port of the Future’. The Association of Maryland Pilots serves the Chesapeake Bay, the longest pilotage route on the East Coast of the United States, with its nearly 200 miles of waters. 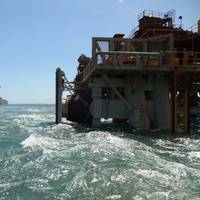 The scale of the waters put particular demands on the operational battery time the piloting equipment requires. Trelleborg’s marine systems operation hosted an exclusive one-day seminar for port authorities and consultants in partnership with the company’s exclusive agent for Greece, Seamark Marine on 1st March at the Metropolitan Chandris Hotel in Athens, Greece. 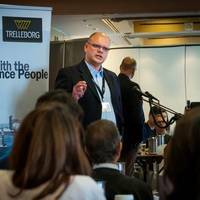 The free seminar saw experts at Trelleborg discuss a range of key industry issues including marine fender selection, infrastructure regulation, the latest in docking and mooring technology, and floating fender and buoy design. Trelleborg’s marine systems operation hosted a technical seminar for the Hong Kong Institute of Vocational Training Council’s Department of Construction on February 25 at the company’s factory in Singapore. Attended by lecturers from the largest vocational and professional education and training provider in Hong Kong, the seminar saw experts at Trelleborg discuss the latest in integrated berthing and mooring systems for ports and terminals, as well as the life cycle and design parameters of marine fenders. 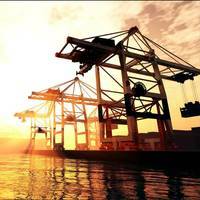 Trelleborg has launched its fifth annual Barometer Report, which calls on the views of 200 port owners, operators, consulting engineers and contractors. This year’s report takes a look back over the last five years to see how attitudes to investment, maintenance and quality have changed over time. Richard Hepworth, President of Trelleborg’s marine systems operation, says: “In previous years, the Barometer Report has examined the issues helping and hindering port performance over a 12 month period. 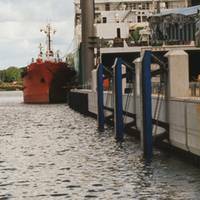 Trelleborg’s marine systems operation has launched two new webinars discussing the current state of the port environment, and the opportunities arising for facilities looking to take steps toward more strategic investment and supplier support. As part of a four part series, the first webinar features Richard Hepworth, President of Trelleborg’s marine systems operation, discussing the current situation facing ports globally, how ports are performing and the obstacles that facilities worldwide must overcome to best prepare and protect themselves for the future. Trelleborg’s marine systems operation has been awarded the contract to supply complete tandem mooring systems to two floating production, storage and offloading (FPSO) vessels in Angola, West Africa. 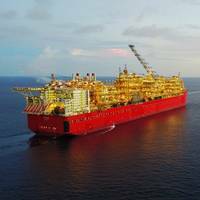 The Angola-based FPSO tandem mooring projects demanded solutions capable of performing demanding offshore applications, while adhering to project quality documentation processes and Class rules, Trelleborg said. In addition, the projects also required the long-term provision of technical and field support services. 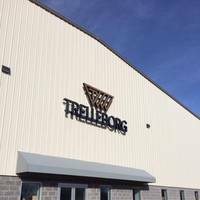 Trelleborg’s marine systems operation has opened a new American headquarters in Berryville, Virginia, U.S. The new site houses a 36,000 square foot manufacturing facility for foam-based marine fenders and buoys and 9,000 square foot sales and business development office. All employees from Trelleborg’s previous site in Clear Brook, Virginia, have now made the move to operate from Berryville and Paul Welling, previously regional director for the Middle East and Africa has moved over to take on the regional president’s role in the U.S. Paul Welling, President for the U.S.
Trelleborg’s marine systems operation has added to its range of Quick Release Hooks (QRHs) with the new ReadyMoor range, a standardized solution that provides a fast lead time for commercial applications, where bespoke solutions are not required. Thanks to this ready-made approach, the ReadyMoor range provides a solution that offers the safety and operational benefits of QRHs, while passing on commercial benefits to the customer. The series is available with average delivery of just 12 weeks, the time it takes to assemble, test and ship the product. 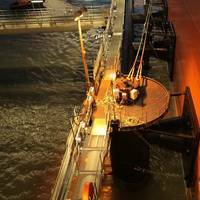 The latest Barometer Report from Trelleborg has revealed a huge gap in the maintenance requirements of port owners and operators, and the support that suppliers are able to provide. 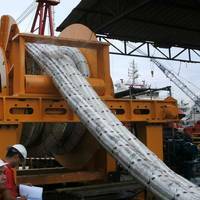 While 75% of those surveyed think that it’s essential or important to have the supplier involved in the maintenance and audit of jetty based equipment, it is also seen as suppliers’ weakest area. Trelleborg believes the findings point to the need for more supplier involvement across the whole supply chain, with engagement essential at every stage. 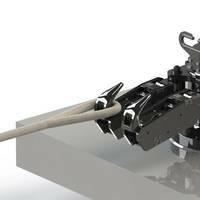 Trelleborg’s marine systems operation has been awarded the contract to supply more than 70 UE1000 Unit Element fender systems to DP World Southampton. The new systems, taking the total supplied by Trelleborg to the Southampton container terminal to over 110, will allow the terminal to berth the latest ultra-large containerships. 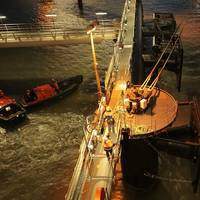 When the project is complete, Southampton will offer 1.87 kilometers of deep water quay, with up to 16 meters depth alongside. 16 quayside gantry cranes with super post panamax capacity will also enable berthing for vessels over 400 meters in length. 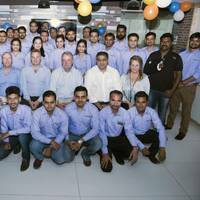 Trelleborg’s marine systems operation announces plans to open a new sales and business development office in Houston, Texas, U.S. Trelleborg said it will establish a local “feet on the ground” presence in the area and confirms the company’s commitment to the global oil and gas industry. Citing growth in the region as a strategic priority, Trelleborg Marine Systems will relocate its USA President, Faiyaz Kolsawala, to operate from Houston as well as a number of its global sales team, including a specialist docking and mooring representative and a dedicated oil and gas transfer and vessel technology salesperson to provide a closer relationship with customers in the area and the reassurance of a face-to-face presence. 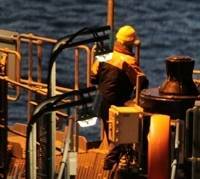 Trelleborg has launched its regular Barometer Report survey, designed to gather the latest insights and opinions from across the marine industry. Port owners, operators, contractors and consultants are invited to tell Trelleborg about their experience, and enter a free draw to win an iPad. 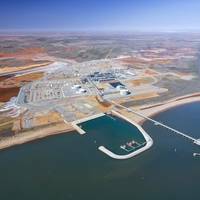 Last years’ report found infrastructure strained as ports struggled to keep up with new developments such as expanding container traffic, increasing vessel sizes and the rapid growth of emerging sectors, such as LNG.